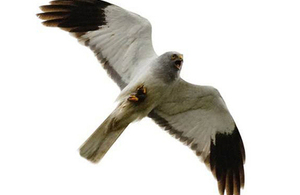 Another male hen harrier has disappeared from Bowland. The loss of another male hen harrier in the last few days, brings the total to 5 within recent weeks. Natural England’s Hen Harrier Recovery Programme has been running for more than 10 years, and although we have recorded the disappearance of male birds in previous years, the loss of 5 within such a short period is unprecedented. Whilst all 5 nests were on land managed for conservation, we know that males roam across large areas of moorland when searching for food and this can make them more vulnerable. The sudden loss of so many birds is of great concern and something that England’s fragile breeding hen harrier population may struggle to withstand. We are now pinning our hopes on the remaining handful of birds that still have active nests in northern England and are working closely with landowners and other conservation bodies to help ensure that they are successful. We will fit the latest high-tech satellite tags to any young, so that we can monitor their progress once they have left the nest. The use of satellite tags to track hen harriers is an approach that has been pioneered by Natural England over recent years. The technology is improving rapidly and we hope that the latest tags will provide even more detailed information on how birds move around the landscape and the factors currently limiting the population.